Here’s what is new in iOS 11 beta 10, including release notes, changes and any new features found in latest build seeded to developers. 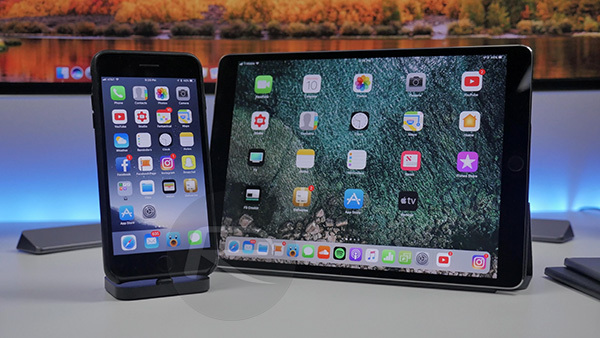 Apple has officially released iOS 11 beta 10 to compatible iPhone and iPad users registered with the Apple Developer Program. That means developers all over the globe will be receiving update notifications on their devices, going through the process of installing beta 10, and getting to grips with all of the changes, improvements, and refinements brought by Apple’s engineers. It also means we have an opportunity to look at the official release notes – or changelog – which accompany the release, and to get to grips with an understanding of what still needs work or what is still currently broken in the platform. One of the primary reasons for the fast paced development from here is the fact that the iOS 11 beta has also been opened up to the public, which means a much bigger pool of testers dipping into the platform and feeding bugs and issues back to Apple. Those bug reports mean that Apple can then intelligently assign time and engineering resources to actually fixing the larger issues and pushing out new pre-release seeds that reflect those changes. The official “Notes and Known Issues” from Apple for developer beta 10 seed is included below for reference, but, be warned, it can actually get quite complex and be a little disheartening if you read the entire thing. >– Swipe up to close apps from app switcher on iPad is back. I want update to iOS11 beta until this pairing with Apple Watch is 100% fixed. Anyone else finding airdrop to not work yet?? I take it you haven’t used iOS in about 4 years? We’ve had sarcasm for even longer. why do you close apps, not needed at all. I tell you why. For a clean look, for organizing and switching easier to the app I want. the detailed release notes are great, cheers! Scrolled straight to the bottom to see if the (not so) “new found admiration” was still being given out for the 9th time…sure enough. Your name is eng. Is that short for English? doesn’t matter, it S from energy, I know, my English isn’t the best, but I think you try to be off topic, no offense!